Because an estimated 45,000 seniors die each year because of complications from preventable diseases, experts say more needs to be done to educate older loved ones about the benefits of being immunized. As part of an on-going effort to fend off unnecessary infections and diseases, many health care professionals are offering free information to seniors through pamphlets, emails and text messages. Pharmacies and doctor’s offices are some of the most common places to find information about flu shots. And, in most cases, these services are free to the public. Personal education is another way healthcare professionals are teaching older loved ones about the importance of getting vaccinations. Understanding that immunizations lower the risk of complications from heart disease and stroke, keep blood glucose levels within normal range and help prevent the spread of harmful diseases, are only some of the things your senior will want to know. Your doctor can also tell you which vaccines are best for you, when they should be administered and what you should expect after the shot. Other ways healthcare professionals get the word out about vaccinations are through videos, websites and flyers. One thing seniors should keep in mind, is that the vaccinations they received years ago, may not be able to ward off those today’s infections. Even if they are not receiving personalized elder care from a professional home care agency, it’s recommended that older adults be immunized against the flu every year to ensure they are receiving the most up-to-date vaccines. Freedom Home Care came up with a list of those suggested by the Center for Disease Control. For patients over the age of 65, doctors recommend an annual flu virus. This is usually administered from September to April and is also recommended for those with heart disease and diabetes. According to experts, whooping cough is on the rise. And seniors under the age of 65 should consider getting the Tdap vaccine without the pertussis component. 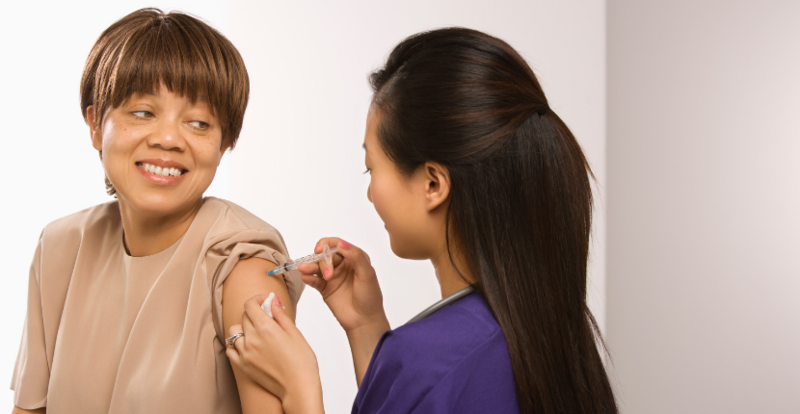 In order to prevent the outbreak of shingles, a zoster vaccine is given to help lower the risk of contracting shingles and to help decrease its severity. More than 60,000 deaths can be attributed to Pneumonia each year. A lung infection, pneumonia can be brought on by viral infections, bacterial infections and fungi. Seniors 65 years of age who have not received a Pneumococcal vaccine five years from their last shot, should have another administered. If you or someone you know is looking for a Home Care Agency near Highland Park, IL, Freedom Home Care’s friendly, professional staff is trained to meet all of your loved one’s needs.